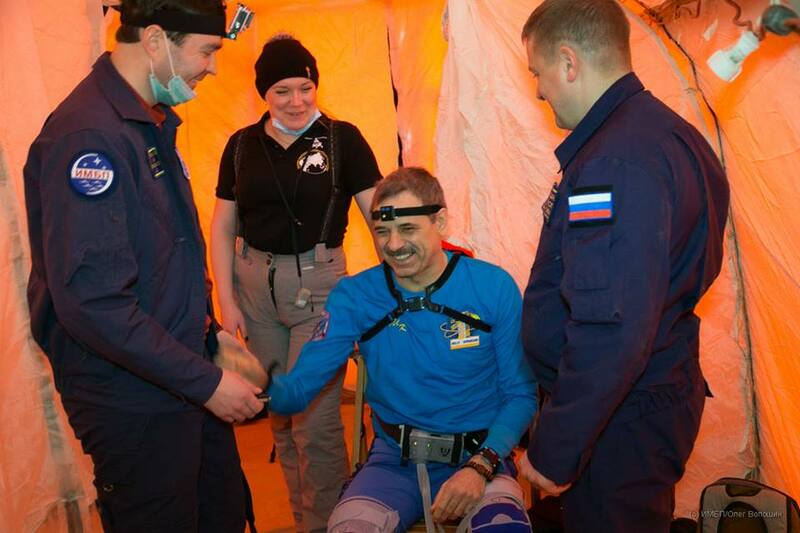 Hooked up to plenty of instruments, a group of three returning spacemen were put through their paces just minutes after their eventful return from orbit earlier in the week in a quest to collect data for future long-duration missions taking humanity to distant targets. 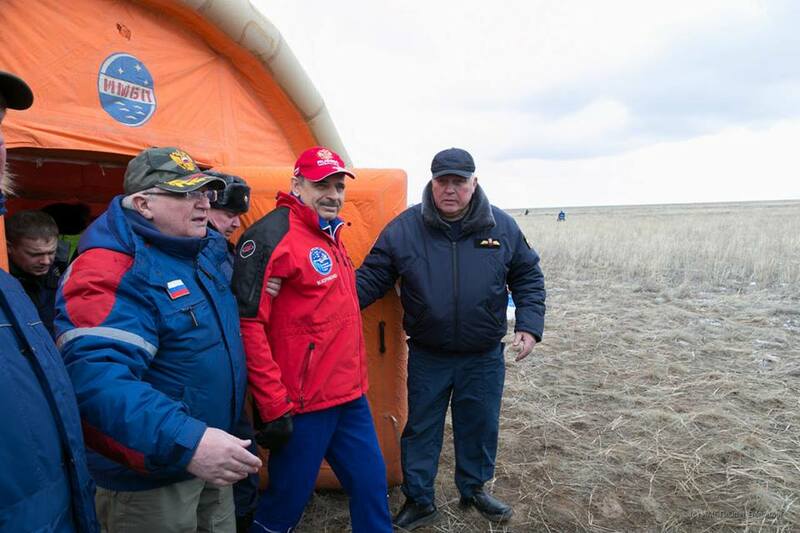 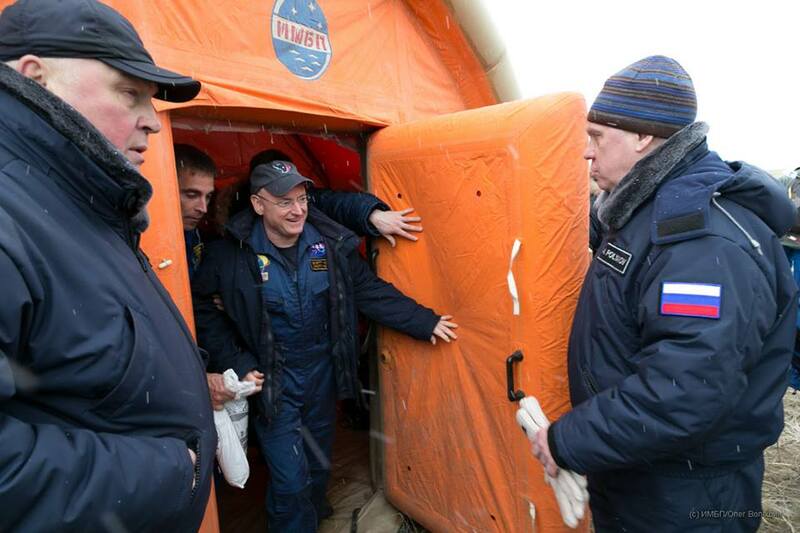 Coming back from their ‘Year In Space’ NASA Astronaut Scott Kelly and Russian Cosmonaut Mikhail Kornienko were put through a series of exercises at their remote landing site in Kazakhstan to study their physical ability upon returning to gravity after 340 days off the planet. 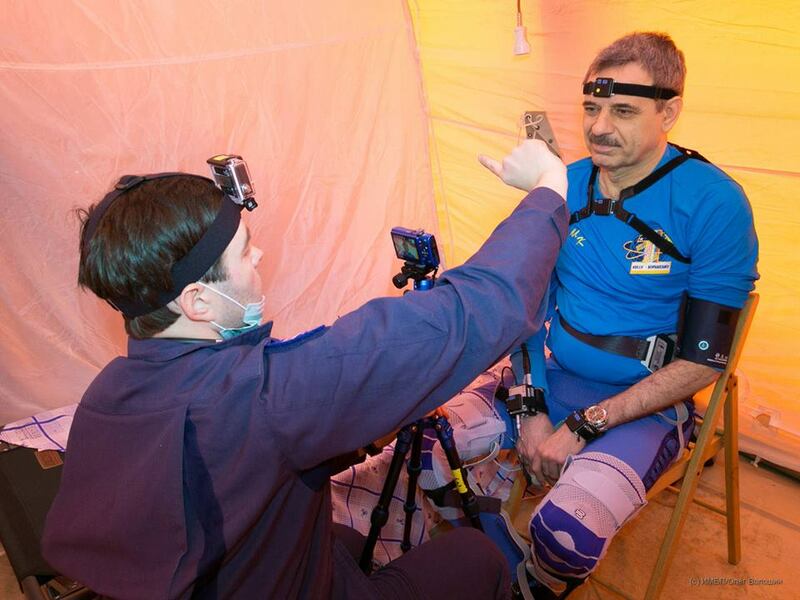 The Field Test study was completed just minutes after the crew returned from orbit, giving their bodies not much of a chance for re-acclimation to assess what tasks a crew member would be able to complete after a long transit from Earth to a distant destination such as Mars or an Asteroid. 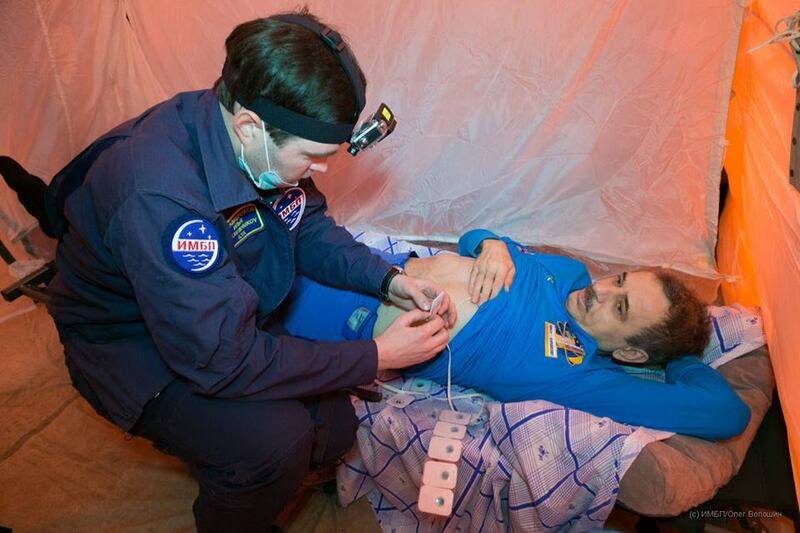 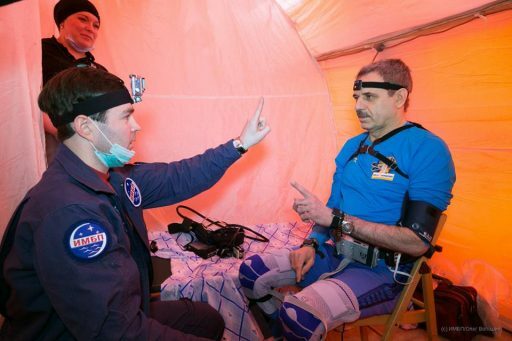 Kelly and Kornienko were hooked up to a number of instruments to measure blood flow, muscle activity, motion and vital signs shortly after landing and went through a 75-minute exercise session including tests and measurements developed by a multi-national team from NASA, the Gagarin Cosmonaut Training Center and the Institute of Biomedical Problems. 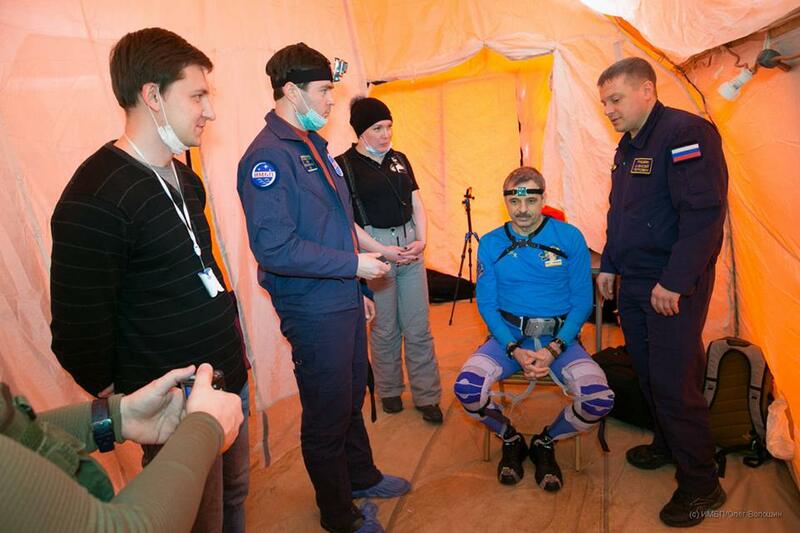 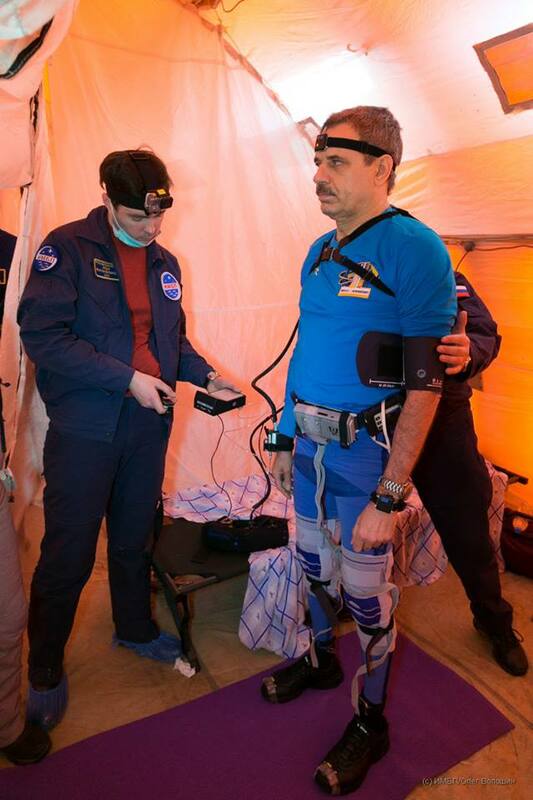 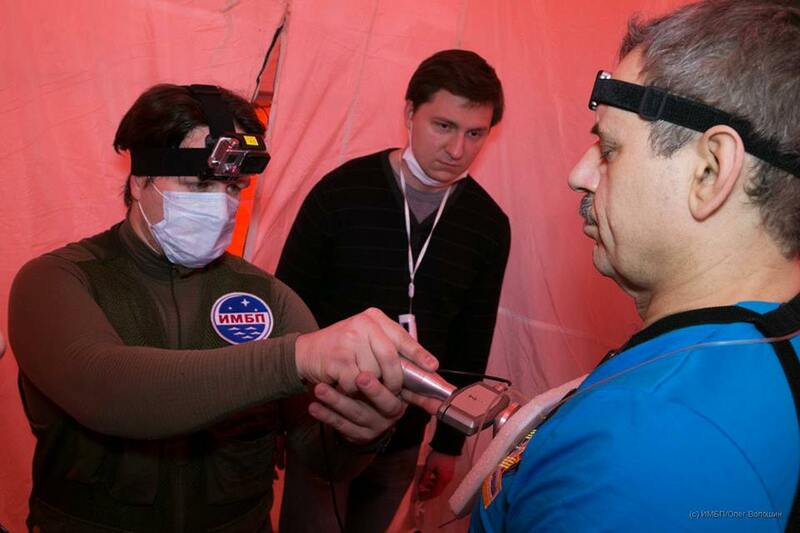 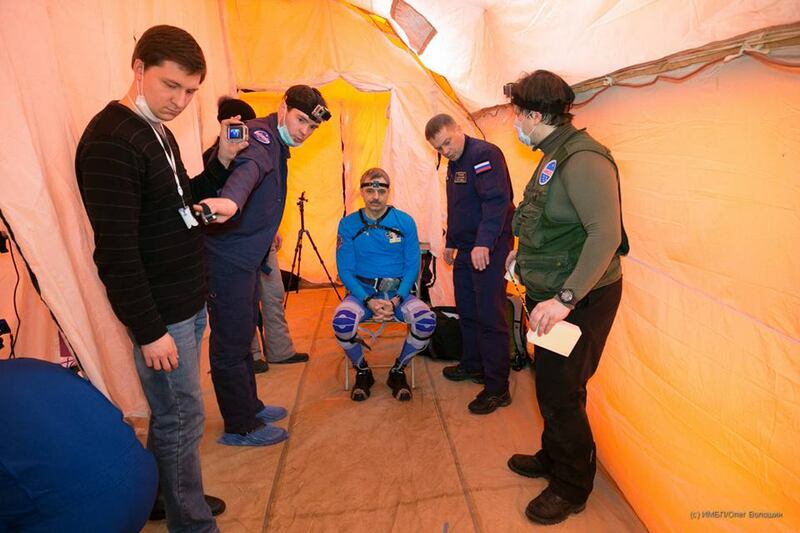 The Field Test is designed to assess the complexity, severity, and duration of physiological changes that have noticeable effects on a crew member’s health when returning to a gravity environment. 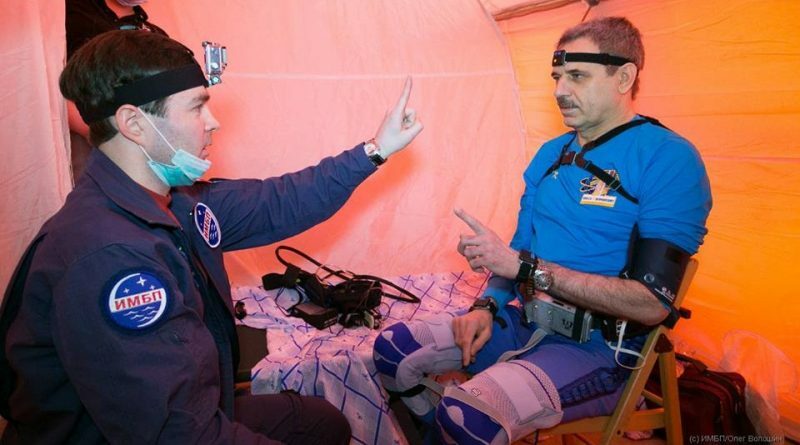 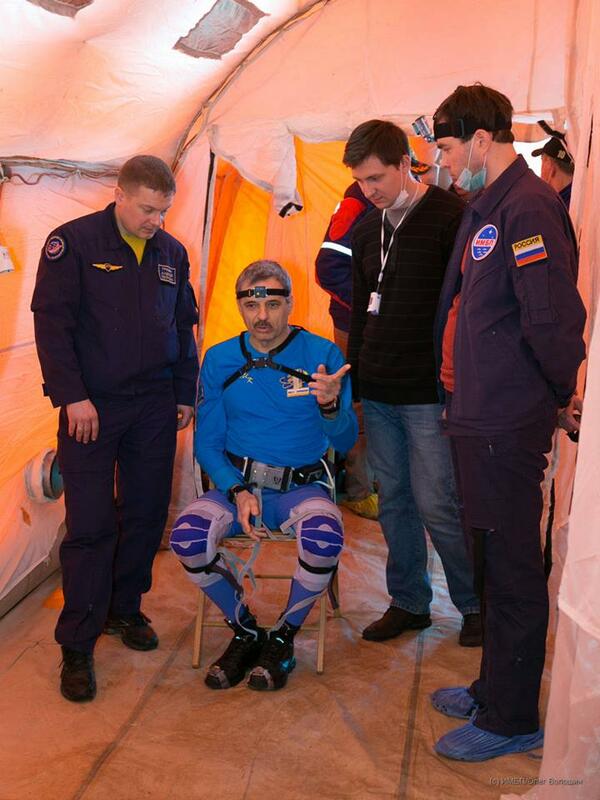 Objectives of the post-landing session include the identification of sensorimotor abilities and cardiovascular degradation in crew members who have not undergone any re-adaptation to gravity. 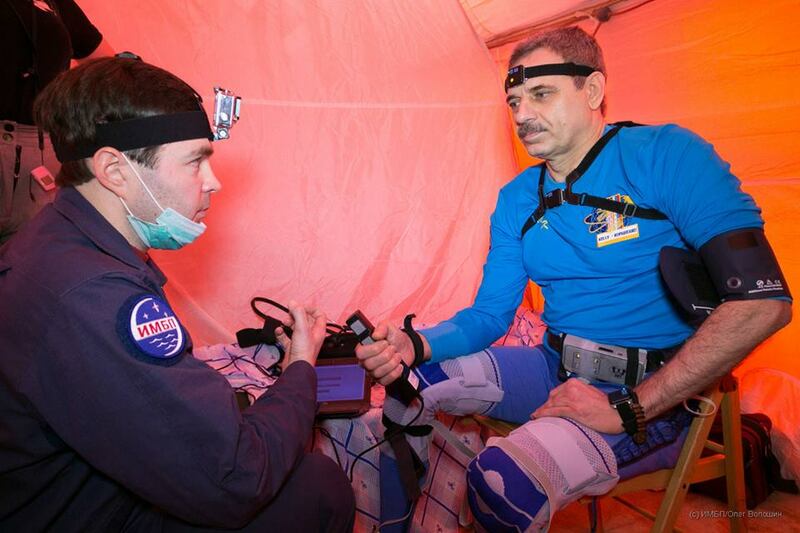 Further test sessions will be completed at different intervals after landing to monitor the crew’s re-adaptation and assess the effectiveness of in-space countermeasures as well as post-flight rehabilitation techniques. 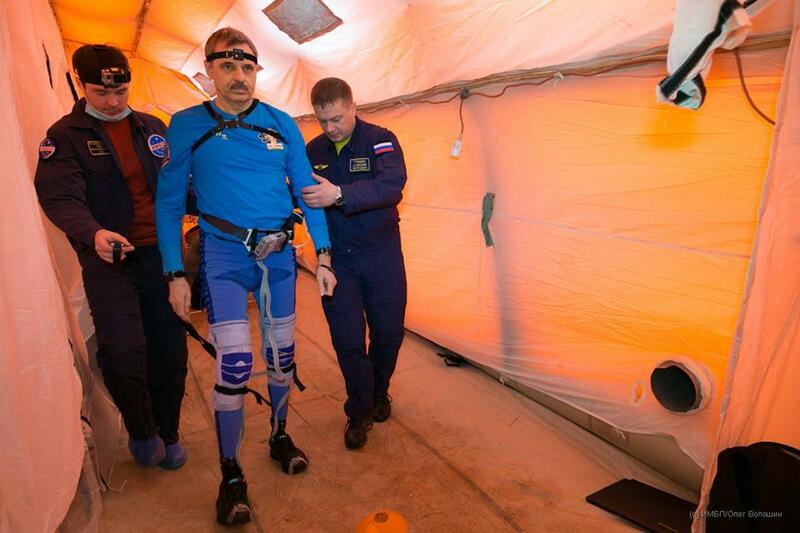 For the Field Test, the crew members completed 11 basic tasks including standing up from a chair without the use of the hands, standing up from a lying position, standing upright on both legs for three minutes, stepping over obstacles, and walking in tandem with eyes closed. 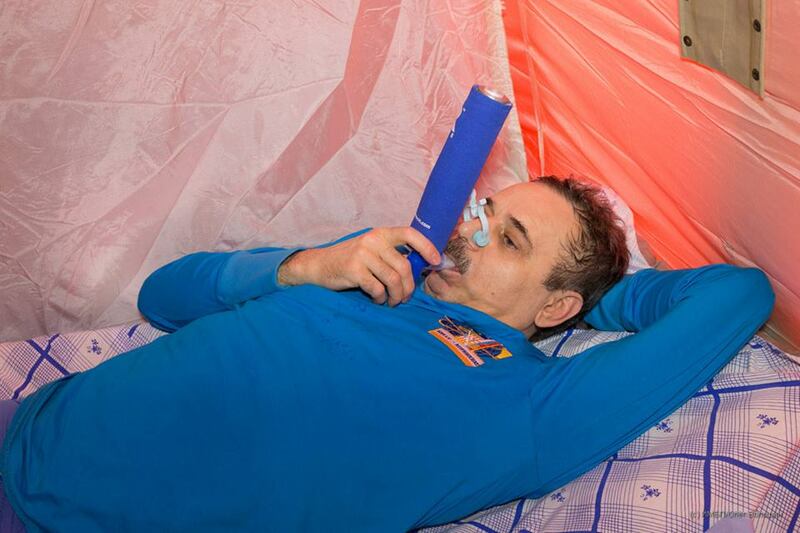 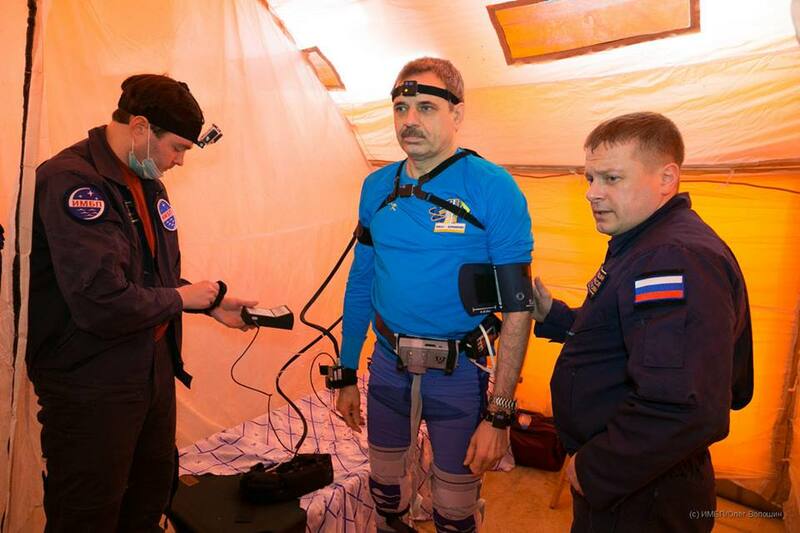 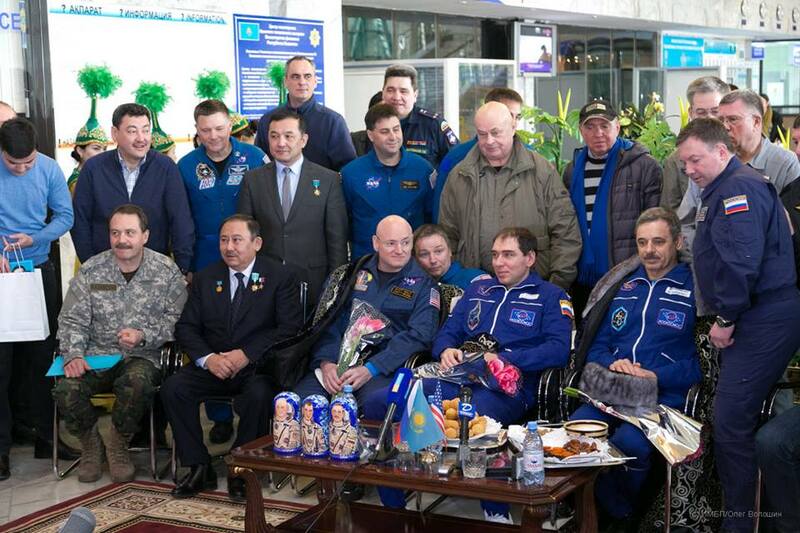 A report from Roscosmos confirms that all tasks were completed by the crew members who, immediately after climbing out of their Soyuz, appeared to be in very good physical and mental condition, already walking mostly unassisted within a few hours of their return. 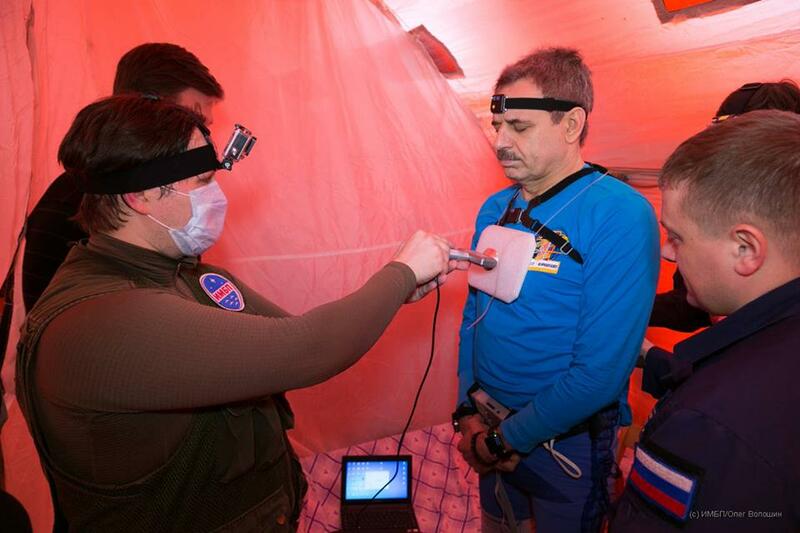 The first Field Test exercise was completed in September 2013 with the Expedition 35/36 crew and more tests will follow with subsequent ISS crews. For Kelly and Kornienko, sample collection and experiments will continue for the next year, some studies requiring data for three years after their return from the first year-long mission to the International Space Station.